A core part of the Blue Canvas platform is command-line free, automated version control built on DX that is easily accessible to Salesforce developers and admins alike. Have Git-powered source control in 4 clicks. It’s admin-friendly and easily fits into your existing development process. No retraining needed. It’s quick to learn and completely command-line free. Git has emerged as the best, most reliable, fastest and most cost-effective tool for managing your source code. Blue Canvas makes it possible to set up Git for you Salesforce orgs quickly and without any additional training. 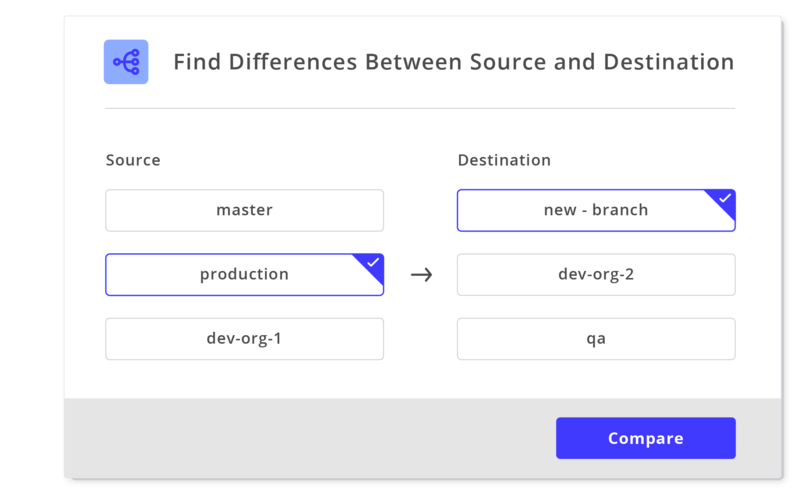 With a Git based approach, you can plug into existing tools like Jenkins, GitHub, Bitbucket, JIRA, Visual Studio, MavensMate, and many more. Blue Canvas makes automatic commits to Git so admins and non-technical staff are able to leverage source control without having to learn an entirely new workflow. Your admin team can become Git experts in a matter of 4 clicks. Source control prevents you from ever losing your work. Salesforce makes it unfortunately easy to overwrite the work of others with sandbox refreshes and deployments. Blue Canvas provides disaster recovery services for Salesforce. 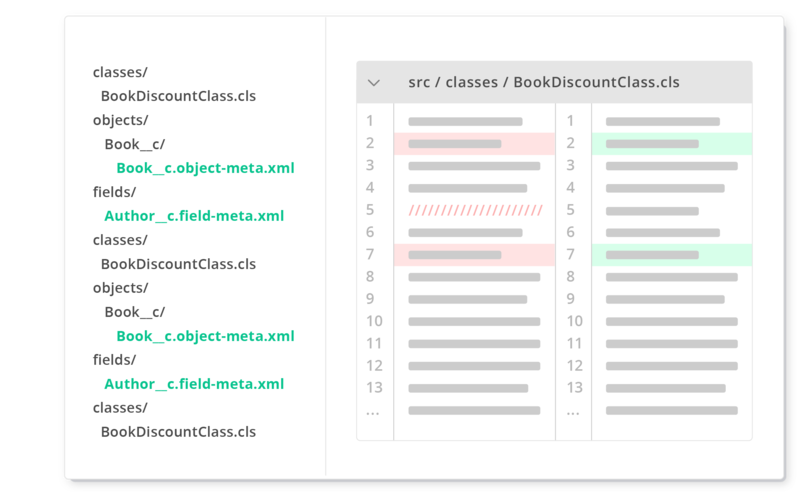 With Blue Canvas all of your changes are backed up continuously so you can always find code that has been removed from your application.